The head of the North Atlantic Treaty Organization warned the U.S. Congress on Wednesday of the threat posed by "a more assertive Russia," including a massive military buildup and the violation of a missile treaty. 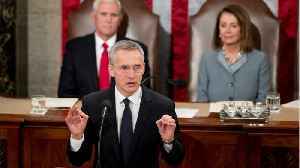 Amid frayed ties with the U.S., NATO Secretary General Jens Stoltenberg on Wednesday told the U.S. Congress to beware of "a more assertive Russia," warning that the 70-year-old NATO alliance needed unity and a full commitment from Washington to meet that threat. (SOUNDBITE) (English) JENS STOLTENBERG, NATO SECRETARY GENERAL, SAYING: "We see a pattern of Russian behavior..etc..
- paraphrase…// "NATO unites our continents…. And today we must be everything in our power to maintain that unity." 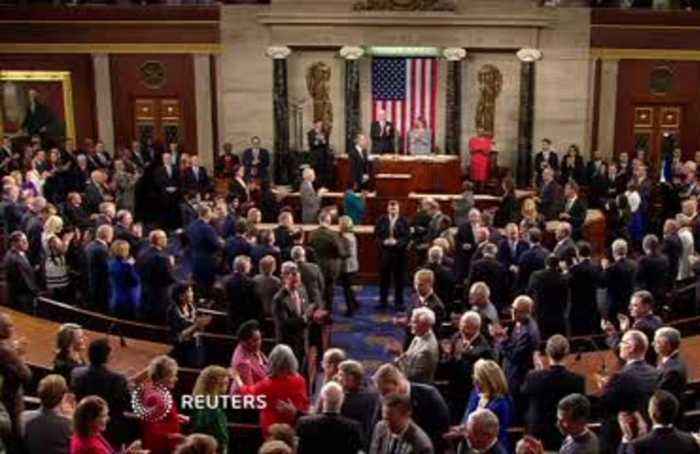 US lawmakers invited the NATO leader to speak in a rare bipartisan move, amid an off-and on public feud between the security organization and President Donald Trump. (SOUNDBITE) (English) JENS STOLTENBERG, NATO SECRETARY GENERAL, SAYING: "We must overcome our differences now because we will need our alliance even more in the future. We face unprecedented challenges - challenges no one nation can face alone." 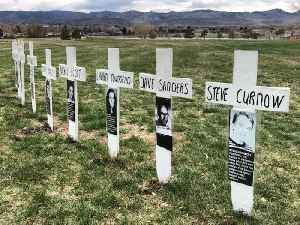 Members of the House and Senate have staunchly defended the alliance, but Trump's strained relations with NATO began before he entered the White House. (SOUNDBITE) (English) REPUBLICAN PRESIDENTIAL CANDIDATE DONALD TRUMP SAYING: "I said it's obsolete and it's costing too much." Trump deepened worries with his calls for closer U.S. ties with Russia. 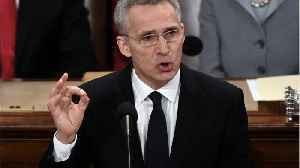 Stoltenberg insisted NATO remained as relevant as ever, citing what he said was Russia's violation of a key treaty known as the INF, which bars the deployment of intermediate range nuclear weapons in Europe. Trump has said he plans to pull the U.S. out of the treaty this summer. (SOUNDBITE) (English) JENS STOLTENBERG, NATO SECRETARY GENERAL, SAYING: "NATO has no intention of deploying land-based nuclear missiles in Europe. But NATO will always take the necessary steps to provide credible and effective deterrence." 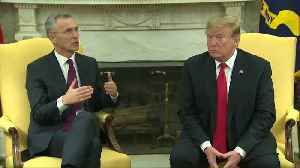 Trump's chief demand has been that NATO member nations pay a greater share of defense costs, which he said was improving when he met Stoltenberg on Tuesday. On Wednesday Stoltenberg cast the dispute as a plus for NATO. (SOUNDBITE) (English) JENS STOLTENBERG, NATO SECRETARY GENERAL, SAYING: "This is good for Europe, and it is good for America." 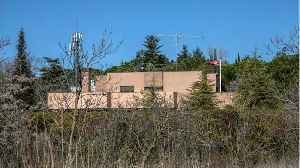 Stoltenberg said NATO member countries are adding billions to their defense spending - $41 billion in the last two years, with that figure expected to rise to $100 billion next year. According to a report by Reuters, on Wednesday, the head of NATO warned the United States' Congress of the threat posed by 'a more assertive Russia' to the alliance, including Moscow's alleged.. According to a report by Reuters, on Wednesday, the head of the North Atlantic Treaty Organization warned the US Congress of the threat posed by &quot;a more assertive Russia,&quot; including a.. 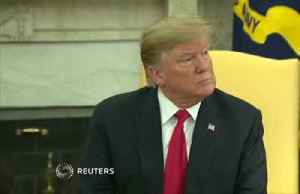 When asked what kind of security threat Russia poses to NATO, President Trump said on Tuesday during his White House meeting with NATO Secretary-General Jens Stoltenberg that he hopes Russia.. When asked what kind of security threat Russia poses to NATO, President Trump said on Tuesday during his White House meeting with NATO Secretary-General Jens Stoltenberg that he hopes Russia won't be a..